Stem Cell Therapy (SCT) is the treatment of various disorders, non-serious to life threatening, by using stem cells. 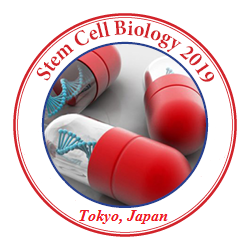 These stem cells can be procured from a lot of different sources and used to potentially treat more than 80 disorders, includingStem cells from a donor either from <a data-cke-saved-href="" href="&quot;http://stemcell.geneticconferences.com/&quot;" style="&quot;box-sizing:" border-box;="" background-color:="" transparent;="" color:="" rgb(185,="" 134,="" 66);="" text-decoration:="" none;"="">Degenerative disorders arise from degeneration or wear and tear of bone, cartilage, muscle, fat or any other tissue, cell or organ. This could occur due to a variety of reasons, but it's normally the process known as aging, or 'getting old' that is the biggest cause. The disorders have a slow and insidious onset but once contracted, can be long-standing, pain-staking and lifelong. These disorders can affect any organ of the body. The common degenerative disorders are diabetes, osteoarthritis, stroke, chronic renal failure, congestive cardiac failure, myocardial infarction, Alzheimer's disease, Parkinson's disease etc.